Overview... a normal teen thrown into an impossible situation. 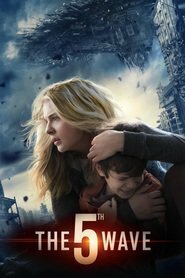 When an aggressive alien force called The Others sends waves of destruction in order to wipe out all human life on Earth, Cassie has to stop worrying about high school crushes and start worrying about surviving. After her little brother Sam is recruited into the military’s resistance force, Cassie grabs a gun and sets off across a desolate, dangerous landscape in order to rescue him. Personality... resilient, resourceful, and not quite as brave as she pretends to be. Cassie is no warrior, but she’ll do what she has to in order to safeguard the people she loves. She’s always been protective of her little brother Sam and that feeling only intensifies after The Others arrive. As her world crumbles around her, Cassie must rely on her ingenuity, intellect, and instincts in order to survive. Cassie Sullivan's popularity ranking on CharacTour is #223 out of 5,000+ characters. See our top-ranked characters and read their profiles.